Do you remember the introductory post on Elaborestore. ElaboreStore.com is the official online store for Shawls, Scarves and Stoles in India. 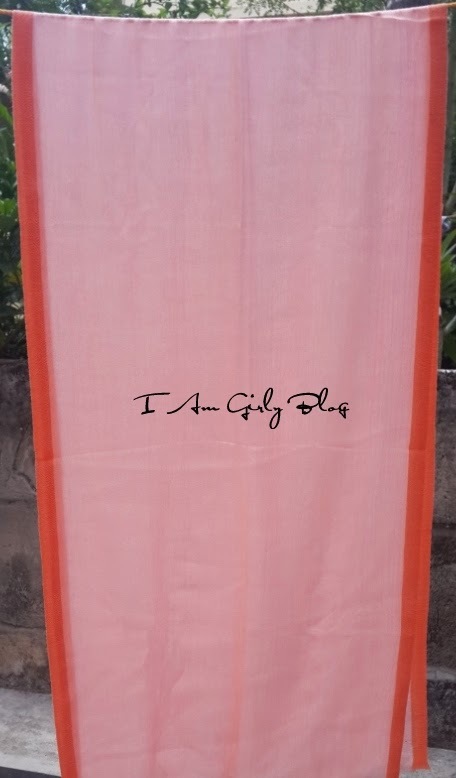 Let me share my experience with them and a small review of one of the stoles sent by them. This peach stole by Elabore, is a perfect match with any of your pastels. You can tie it as a knot around your neck to look your casual best. It is bizarrely lenient and suave to feel, calm on skin and bounces the thoroughgoing easiness to contact. 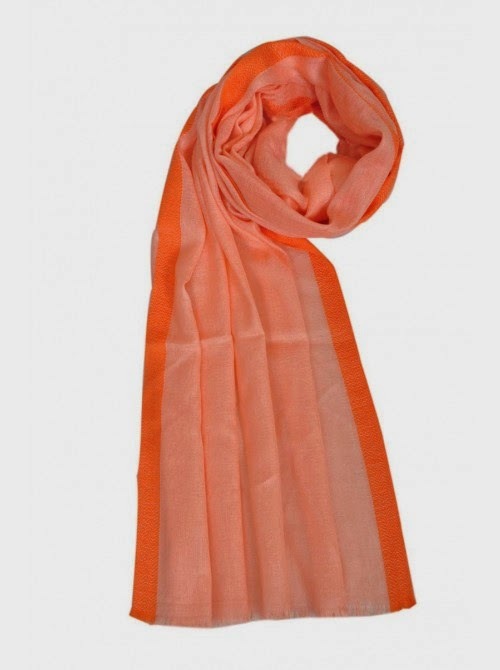 Start your own trend with this pink stole which is very feminine and the peach salvage supports your inner strength. The beautiful colors infuse with your persona and attributes your dynamic image as a fashionista. 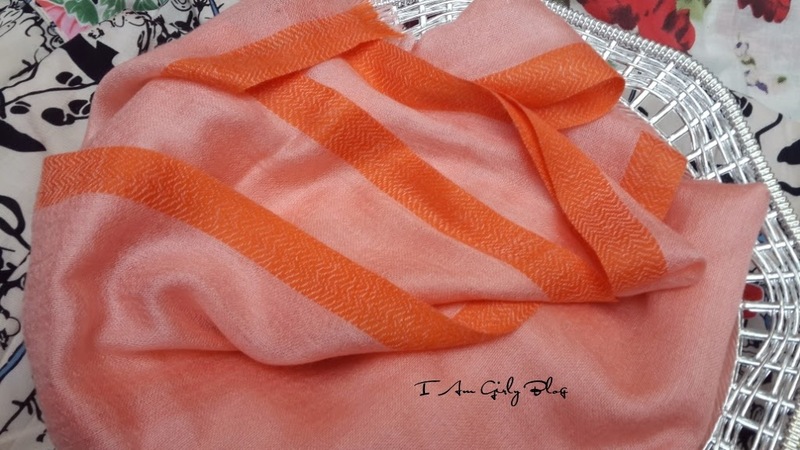 Elabore Style Tip: This stole will look very pretty teamed with denims or plain white top. Team it up with bold red kurti and blue jeans for that ultimate fusion look. So this is the package received by me. I got it in 3 days. I love it when my parcels come gift wrapped.Inside the above cover was a personalized gift wrapped stole. Stylize your urban-chic wardrobe this winter season and be the Diva that you are. Fashion is for all those who have passion and desire and a will to experiment with your overall look. 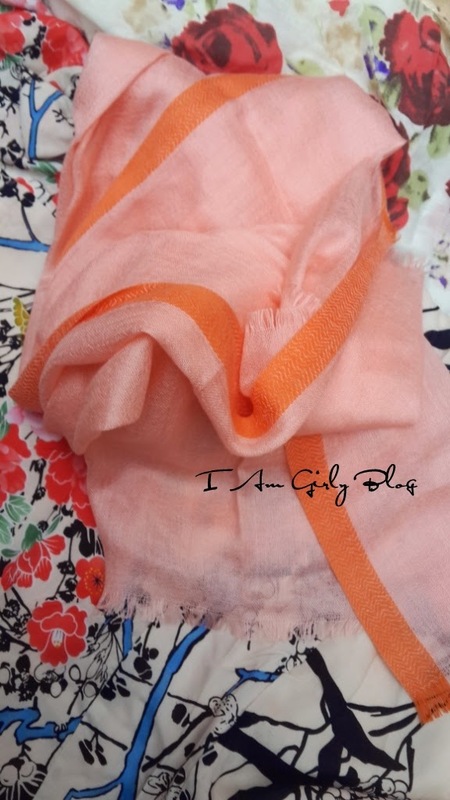 The stole is medium length and you cant use it as a shawl if you are tall like me.You can use it as a scarf, wrap or to cover yourself from pollution,cold or UV rays. The ends look like this. Some of the stoles that I have are scratchy and uncomfortable, while others are bulky and unmanageable. This one is an exception as the material is so soft and comfy. The look and feel of the stole is amazing and just perfect.It looks neat and professional. This is a great piece that will add style to any outfit.It is very thin and so wearable all year around. The colour is so cute and lovely.It is simple but versatile.I love the simple contrasting border. Vibrant color, soft, stays in place and washes well. For the price I would recommend, it’s a pretty fashionable scarf. 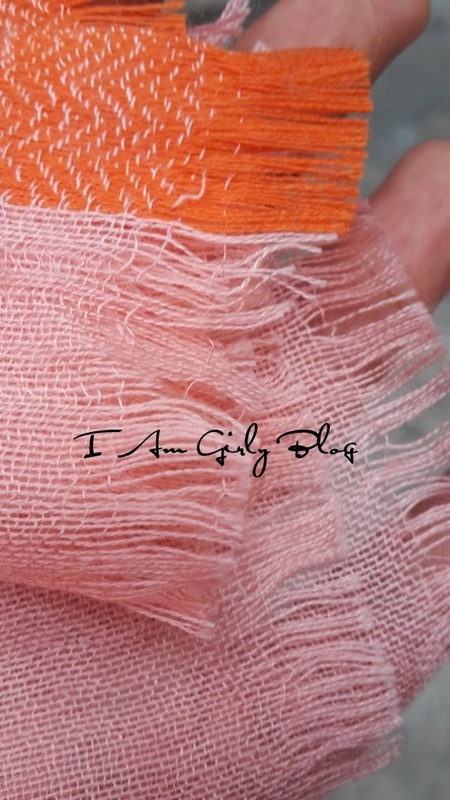 I am in love with this peach stole.Thank you Elaborestore. The price of the product is Rs 1123 and with discount its up for grab at Rs 747. You must check this site Elaborestore.com if you are looking for shawls,scarves and stoles. Gold Elements Nail Care Kit – Supreme Review ! !